THIS MORNING, WRITING on TheJournal.ie Fine Gael Senator John O’Mahony argues that Ireland’s free legal aid system is ‘being abused’. O’Mahony says that the country has seen “high-profile cases recently of people who are on high wages and others who have substantial assets, yet they seem to qualify”. “I am convinced that there needs to be a thorough investigation of this process,” he adds. Meanwhile, former Justice Minister Frances Fitzgerald committed last September to one of her party’s pre-election promises – the moving of criminal legal aid to the aegis of the Legal Aid Board (LAB) amongst other things. However, from a EU perspective the Irish legal aid system is seen as being one of Europe’s better ones. In fact, the union is currently working on bringing other countries’ systems to the same levels that Ireland currently boasts. We’re asking: Do you think Ireland’s criminal legal aid system is being abused? Email “Poll: Do you think Ireland's criminal legal aid system is being abused?”. 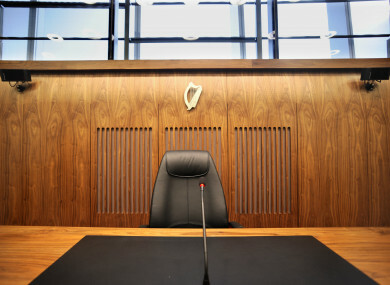 Feedback on “Poll: Do you think Ireland's criminal legal aid system is being abused?”.